Hulk Hogan has apologised for using racist language in a shocking tirade, which he has branded “unacceptable” as well as “inconsistent” with his own beliefs after he was sacked from WWE. The former WWE star, who was fired from the wrestling company, issued a statement following the fall out on Friday. In a statement issued shortly after one released by WWE, Hogan apologised for the racist tirade and admitted “there is no excuse” for his words. He said: “Eight years ago I used offensive language during a conversation. “It was unacceptable for me to have used that offensive language; there is no excuse for it and I apologise for having done it. The termination of his contracts comes after all references to him were removed from the official website, and rumours circulated that he had gone on a “racial tirade”. 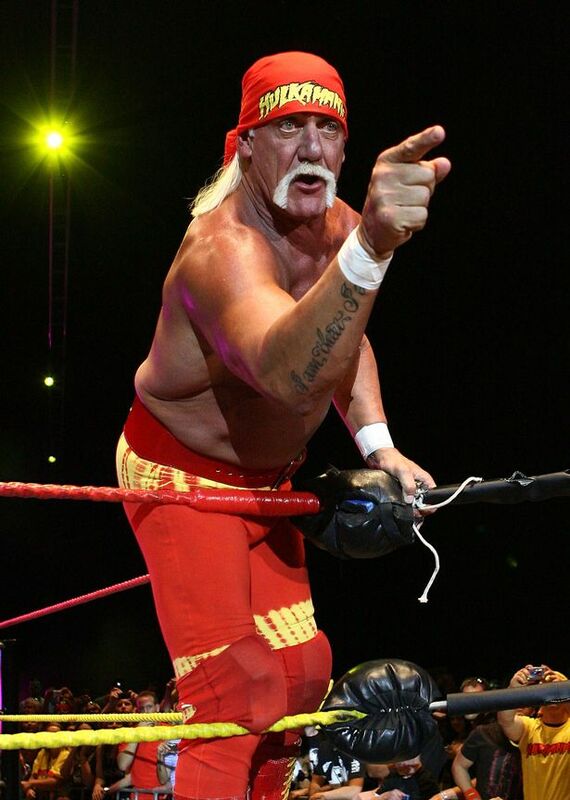 In an official statement, WWE announced: “WWE terminated its contract with Terry Bollea (aka Hulk Hogan). It is still not confirmed exactly why Hogan’s contract has been ended. As well as his profile in the alumni section, all his merchandise has been pulled from the online store – certainly making it look like his time with the company has come to an end. There are reports that the sudden end to their working relationship is the result of a video or audio of the star on a “racial tirade”, although renowned professional wrestling writer Dave Meltzer described it as “a rumour going round”. An audio clip has surfaced on US website Radar Online online in which Hogan repeatedly uses the n-word during an interview discussing his early career and the use of the word on screen, although it appears this is from around 2012 and not the incident leading to the controversy. Hogan himself is yet to comment on the reports, although he did post a cryptic message referring to a “storm”, and putting his faith in “God and his Universe”.